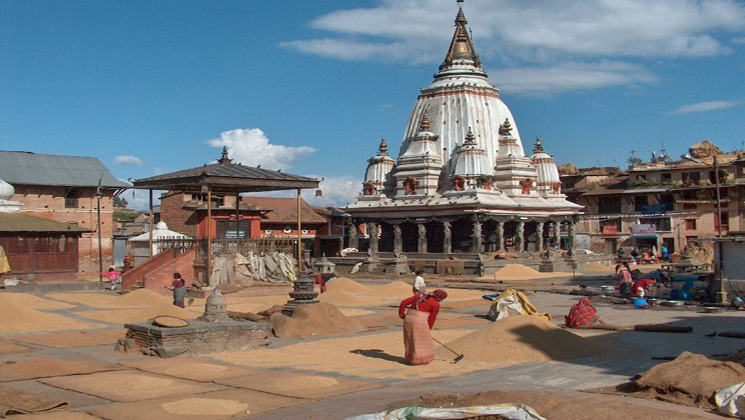 Bungmati and khokana village day tours offer Bajra Barahi Shrine. Barahi is the name of one of the Mother Goddesses Ajima. Bungmati khokana village lies in the center of a thick grove, three hundreds meter from the center of the village. The temple was built 500 years ago. Roughly about 5000 people are living in Bungmati and 3000 people are living on Khokana village. Most of the people are Newars still abiding with its tradition as their significant part of life. From Bungmati to Khokana village takes about 20 minutes to walk. In these 2 villages, travelers can explore the typical Newari houses and their lifestyles. Bungamati is a small Newari village with very less influenced by the modern society just a few kilometers far from the village, Bungamati exemplifies the true beauty of the still living age old culture and civilization. Your journey with Gokyo Treks and Expedition to Bungamti, starts with a vantage point where one can behold the entire village of Bungamati and Khokana. Walking down the lanes of Bungamati, you will pass through local Newari people busy working intricate designs in wood or stone on their way to creating many more beautiful artifacts keeping their talents running for the future generations to enjoy. Though, small in size, at least 100 people from the village earn their living through wood carving. Why people choose Bungmati khokana day tours in Nepal? Nepal is richest country in terms of cultural activities which are blessed by God. Culture is a way of life of society. According to this statements, it holds particularly true in every aspect of life, cuisine, clothing and even occupations are culturally guided. Nepalese culture includes the codes of manners, language, dress, rituals, norms of behavior and systems of acceptance. Discover the culture and history of Kathmandu, Sikhara styled temple of Rato Mahhendranath, Karya Binayak Temple, Village lifestyle of people living inside ancient Newari towns, Bungmati and Khokana village, closer to the Kathmandu City with traditional Newari cultures. Bungmati and khokana village day tours including monuments and local culture and their tradition. Drive to Bungmati & explore around the city. Then visit Khokana & see the age old culture and traditions. Altogether we have full day tour plan which is going to cover within six hours. Afterwards, transfer back to your hotel.